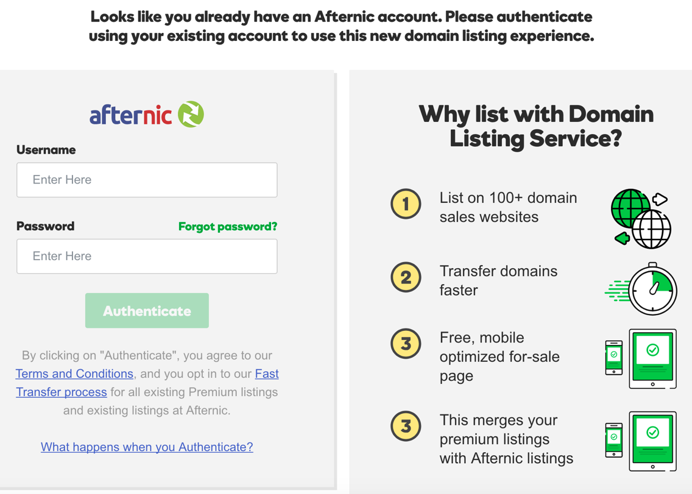 Before you can use the GoDaddy List for Sale process, you must first authenticate your account and link it to your Afternic account. Required: You must have an Afternic account before you begin this process. Now that you're authenticated, click either Manage your listings or Go to Domain Manager. You'll be able to see all Listings in your Afternic account in the Manage Listings section.